My short story “Ayema’s Fleet” has been reprinted in the Veterans of Future Wars anthology from Martinus Publishing. 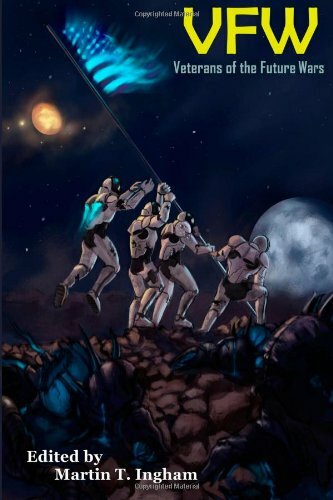 As with the Battlespace anthology “Ayema’s Fleet” first appeared in, VFW is for a good cause–10% of proceeds from the anthology go to Disabled American Veterans. I’ve done an interview with anthology editor Martin T. Ingham, which can be read here. And the anthology itself is available in print and ebook at Amazon.com and Barnes & Noble.